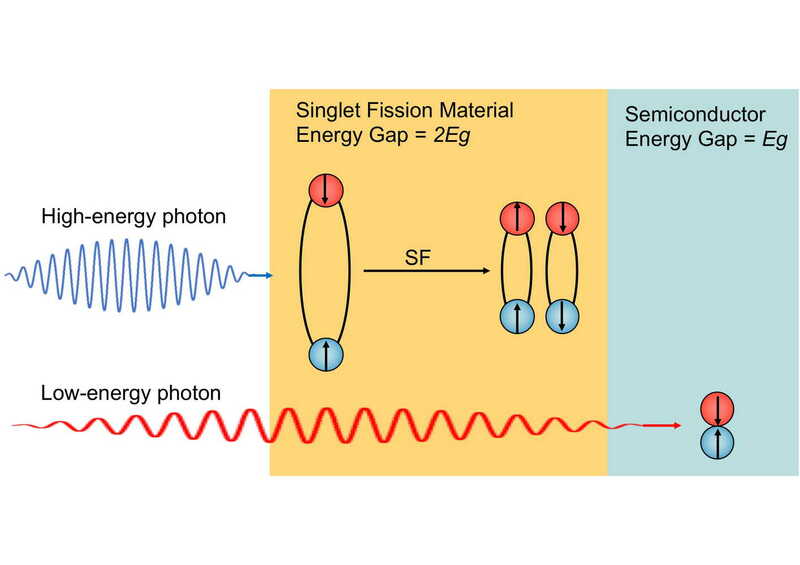 In a paper published today in Advanced Energy Materials PhD student Saghar Masoomi‐Godarzi (Jones Group) describes a new class of materials that promote intra-molecular Singlet Fission. This process, which takes high energy photons and creates two low energy photons, has been demonstrated in new advanced organic semiconductor materials where the two excitons are hosted on the same molecule. Theory suggests that the maximum efficiency of solar cells can be increased from 32% to around 45% by incorporating SF materials.